Ideal for washing both floors and walls with water only. The Wet Mop Pad made from 70% recycled materials is ideal for washing floors and walls with only water. Traps dust and grime in the pad, leaving surfaces cleaner, so you won’t have to mop as often. Removes up to 99% of bacteria from a surface using only water. You strive to make your home a Safe Haven for your family and try to avoid tracking in pollution, pesticides, dirt and debris from outside. But even under the best circumstances, the floors of your home can harbour pollutants, chemicals, dust and bacteria. All slightly dirty Mop Pads can be washed with Norwex Washing-Up Liquid under warm running water and used again before laundering. Norwex Mop Systems clean floors using microfibre Mop Pads and water only. Dry Superior Mop Pads are constructed of Norwex Microfibre and use static electricity to draw, lift and trap even the tiniest particles of dirt and debris. Nylon and microfibre give the Tile Mop Pad extra scrubbing power. 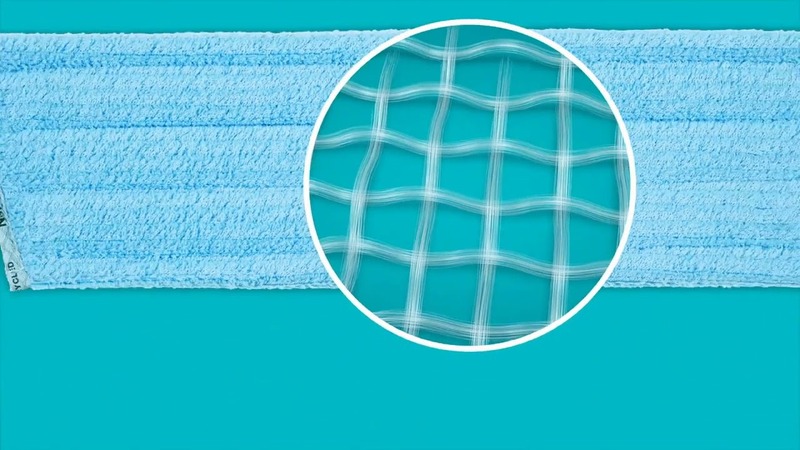 Norwex Microfibre in the Tile and Wet Mop Pads has the ability to remove up to 99% of bacteria from a surface with water only, when following the proper care and use instructions. Two of the Wet Mop Pads are made from 70% recycled materials. Telescopic Mop Handle also fits our bendable microfibre EnviroWand™ to clean ceiling fans. Floors are safer for children and pets—No harmful chemical residue remains when mopped with water. No heavy bucket to carry makes mopping easier.